Organic product sales have climbed by over 70% since 2008, yet only 1% of domestic arable acreage is currently certified organic. [ii] Demand clearly outpaces supply. 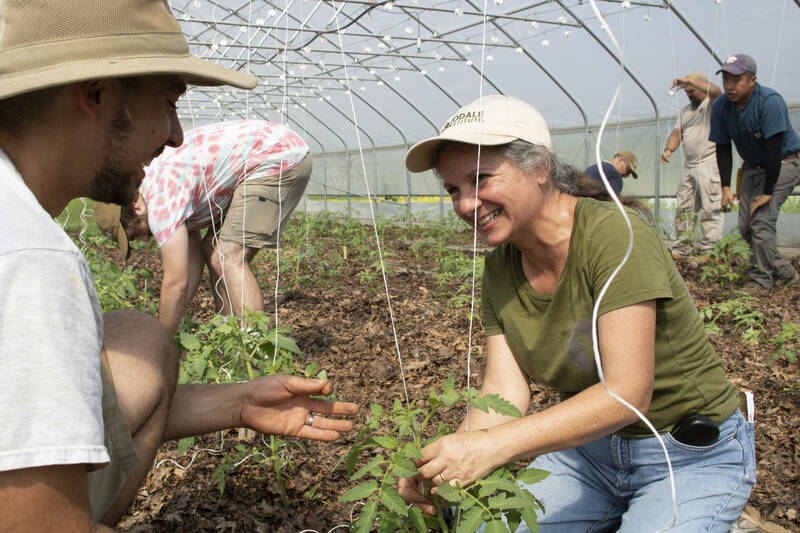 Rodale Institute is training the next generation of farmers to fill the gap using organic, regenerative production methods that improve the health of people and planet, boost the economy, and develop rural communities. The Next Generation Fund provides interns with housing, food from the farm, a comprehensive educational experience, and a weekly stipend. Wedderspoon, a passionate steward of Manuka Honey-based wellness products and the #1 selling Manuka Honey brand in North America, is the first corporate sponsor of the Next Generation Scholarship Fund. Join Wedderspoon in supporting the future organic farmers of America—email Annie.Brown@RodaleInstitute.org for more information. Veteran Farmer Training: This flexible, 2-4 month program serves military veterans transitioning to new careers in organic agriculture. Agriculture Supported Communities (ASC) internship: Interns learn to manage a small-scale, pay-as-you-go, CSA-style vegetable operation with the goal of reaching underserved populations. St. Luke’s-Rodale Institute Farm-to-Hospital internship: Interns help manage 11 acres and provide safe, healthy, organic produce to seven hospitals in the St. Luke’s Health Network. Organic Farming Program Certificate: Students of this 36-credit, one-year certificate program offered by Delaware Valley University and Rodale Institute graduate prepared to start a small-scale organic farm or work for an organic operation. Research internship: Side-by-side with our research department, interns investigate best practices to naturally mitigate pests, diseases, erosion, and emissions; increase nutrients and water efficiencies; and improve biodiversity and food security. Plant production internship: This opportunity presents the fundamental principles of organic plant cultivation and garden maintenance. Livestock internship: Trainees aid in the care and management of livestock including hogs, sheep, goats, chickens, turkeys, donkeys, and more in order to learn management of a diverse livestock operation.